North Carolina Board of Nursing of Raleigh, NC. "My experience with developing in WOW has been great. And believe me I have had several other applications in the last year to develop using other software and there is no comparison - WOW is much better. I have also gotten into iSeries Access for Web and like WOW better." 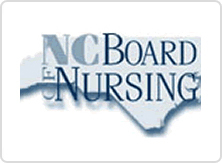 The North Carolina Board of Nursing (NCBON) is a regulatory agency, comprised of elected nurses, appointed citizens and staff, charged with ensuring safe, effective nursing care for the citizens of North Carolina. Many existing applications surrounding reports and regulatory processes were green screen apps. End users were requesting more user friendly, GUI browser based resources to gather information and streamline regulations. Although several applications have been created using WOW, the focus of this study will be a new web based program for North Carolina RNs to certify to be medication aide instructors. After purchasing 6.3 Enterprise Edition WOW and attending the online three-day Introduction to Web Object Wizard class, RPG programmer, Gail Marshall, was able to develop the RN certification application and many others that are currently in production. A new North Carolina law mandated RNs to obtain certification to teach Medication Aides. In order to be certified, they have to have a current RN license. This solution allows users to look up information from the RN database and allows additions to the Med Aide Instructor database. RN verification for North Carolina RNs is based on SS#, Instructor ID, Last name and Instructor display. Printing lists is also a common use of this application. This shows the options to be used in the processing of Medication Aide instructors. RN Verification can be used to look up NC RN. Instructor Search allows search based on SS#, Instructor ID, last name. Instructor Display shows all Med Aides. Can also use this to print lists. After verification of the RN instructor status, the following screen will appear To enter new applications, user selects Med Aide Application and clicks on insert. If entering as a NC Nurse, they do not have to enter name, maiden name, address, DOB, Cert#, or Expiration date. If the RN is not a NC Nurse, they must enter all of the information. Once all required information is entered, they click insert. The Instructor ID is automatically assigned and entered into the RN DB. After entering all of the applications, click on Update Med Aides with RN Info. This will update the Med Aide information from the RN license (Primary State must be NC). If the SS# is not found or the primary state is NC, an error message will not allow the user to continue. (Validation). At this point, the user can enter SS#, Instructor ID, or Last Name to obtain information on specific RN instructor. Further, this application can allow the user to check on the status of RN license expiration or those practicing on a compact state license. After sixteen hours of education, WOW Enterprise 6.3 (and now upgrade to 6.4) was used to quickly develop and power RN certification process to teach medication aides. NCBON Developers have also created applications on checking criminal background, nurse aide renewal process, approval of online registration (with automatic email functionality), and many, many reports created with data from both the iSeries and SQL databases. Gail Marshall states ~ "Our staff is glad it (med aide app) is a browser application verses green screen. Of course, as the developer it was much easier for me to develop using WOW verses developing green screens. This saved hours of my time. " Marshall further comments, "I can't say enough about the support staff (at PlanetJ). They are always so willing to help and have been a life saver. I have also trained (but very little) another IT person so she can use WOW to create outside data requests-i.e. CVS, Excel files. She loves it also."